Once, the Mula Nasruden was searching the ground under a street lamp. "Can I help?" asked a friend. "I lost my key in the house," said Nasruden. "But then why look out here?" "Because the light is better in the street," came the reply. Nasruden is a great fool in Middle Eastern folklore. Only by turning on the light inside his house -- his inner psyche --will he find the key. John Cianciosi shows us how to do just that. Directly from the heart, this practical, nonreligious book guides the reader of any faith to reduce stress, increase health, and achieve inner peace. 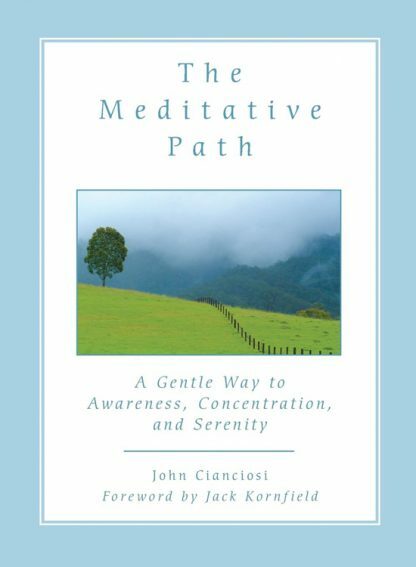 It clearly explains the meditative process and offers very simple exercises to balance theory and practice. Each chapter includes Q&A sections based on the average reader's experience and crafted from the author's twenty-four years of teaching, first as a Buddhist monk and now in lay life. Of all primers on meditation, this one excels in showing how to slow down life in the fast lane.